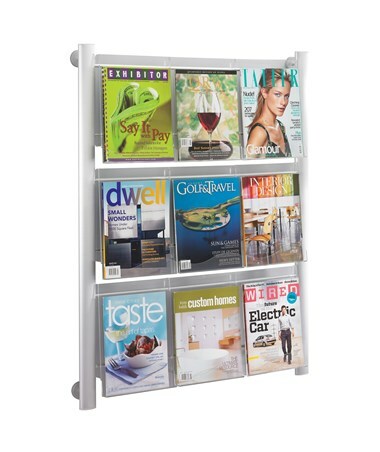 The Safco Luxe Magazine Rack is a wall-mounting rack that provides a stylish way to display magazine and other literature. 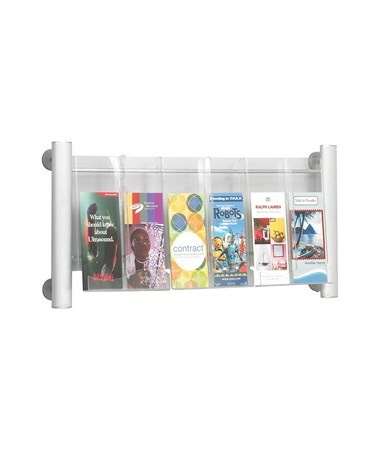 It features a pocket that can fit an inch thick of printed material and center pocket dividers are also included to allow the resizing of each pocket so it can fit smaller material like pamphlets. 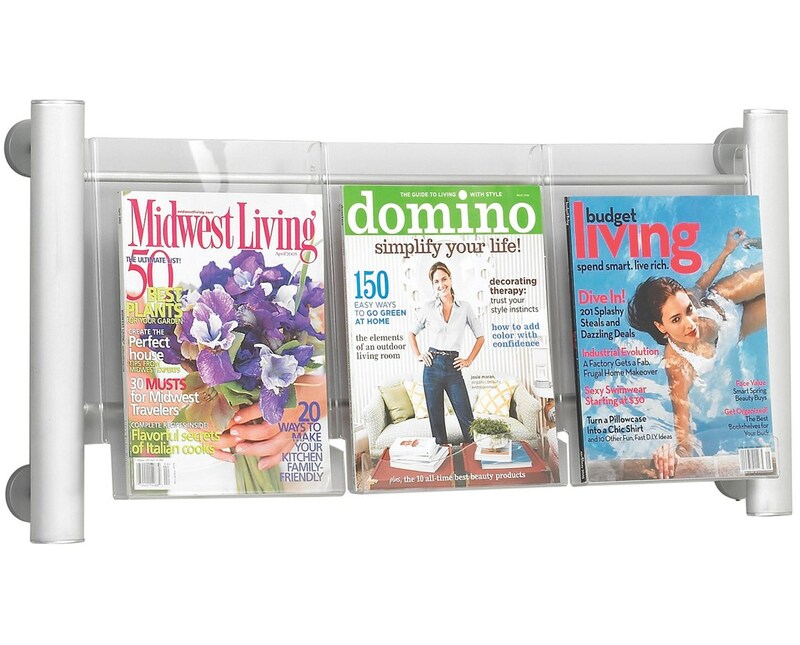 This rack is easy to mount on smooth walls with the help of the rubber suction cups attached to the back of it. 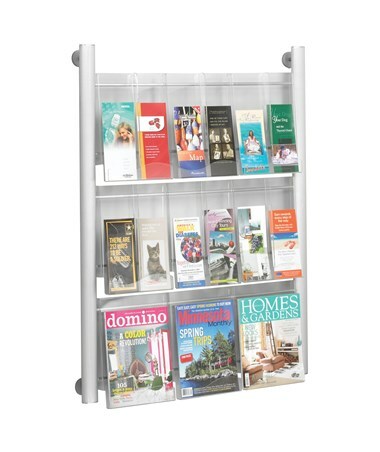 The rack’s frame is made of aluminum with silver coat finish, while the pockets or compartments and dividers are made of acrylic. It is also GREENGUARD certified for low chemical emissions. 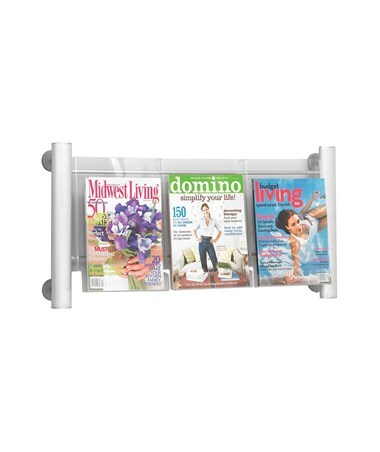 The Safco Luxe Magazine Rack is available in a different number of pockets. Please select your preference from the choices above.